Drilling on another planet is no easy feat, and each time we have the opportunity to do so on Mars feels pretty special. The focus of the weekend three-sol plan is to drill the target "Voyageurs," which is part of an outcrop that shows a high hematite signature in orbital data. The weekend plan kicks off with several Navcam and Mastcam observations of the atmosphere to continue to monitor the ongoing dust storm from our unique vantage point on the ground. Then ChemCam will analyze the "Voyageurs" target, followed by Mastcam multispectral imaging. 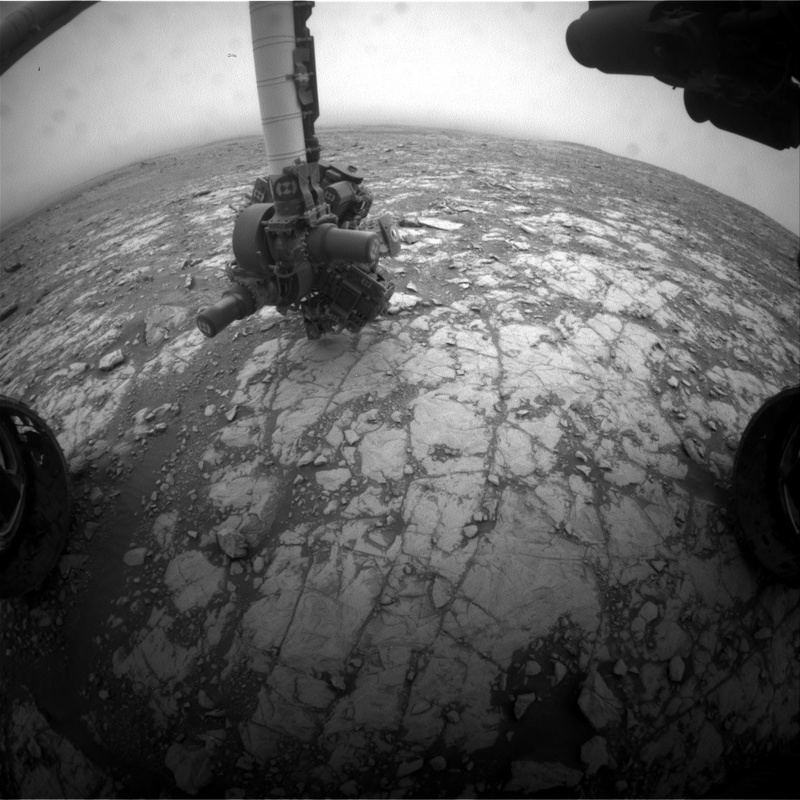 Curiosity will continue several important environmental monitoring observations later in the afternoon and first thing the next morning, and throughout the second and third sols. The second sol also includes more Mastcam change detection observations of three different targets to look for changes and the movement of fine material. Then we'll acquire MAHLI pre-drill images, and APXS on the future dump locations. With those observations complete, we'll be "go" for the full drill of the "Voyageurs" target on Sol 2112! I'll be on duty on Monday, so I'm anxiously awaiting the results of the drilling attempt and look forward to finding out what this rock is made of!